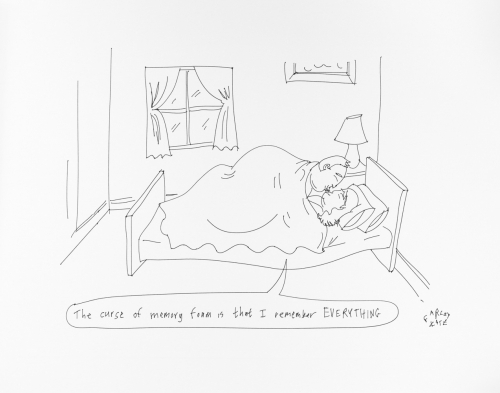 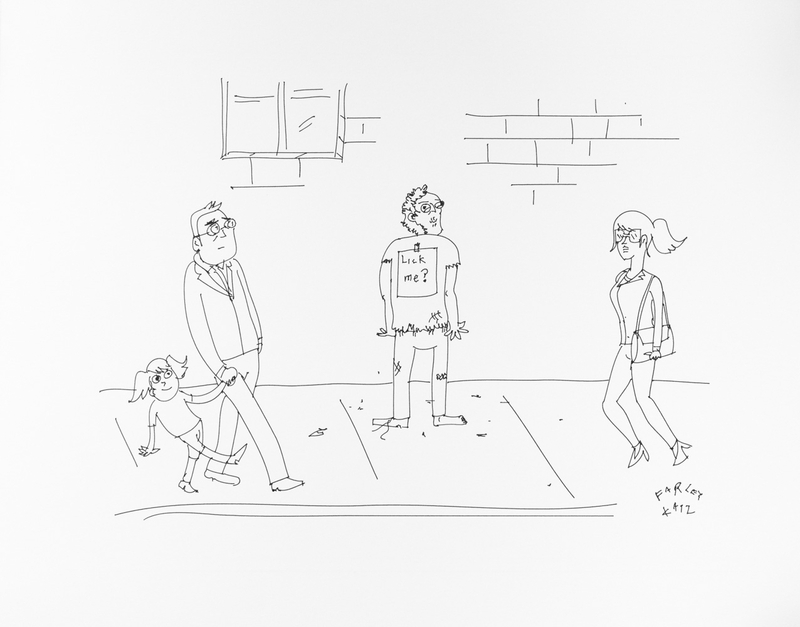 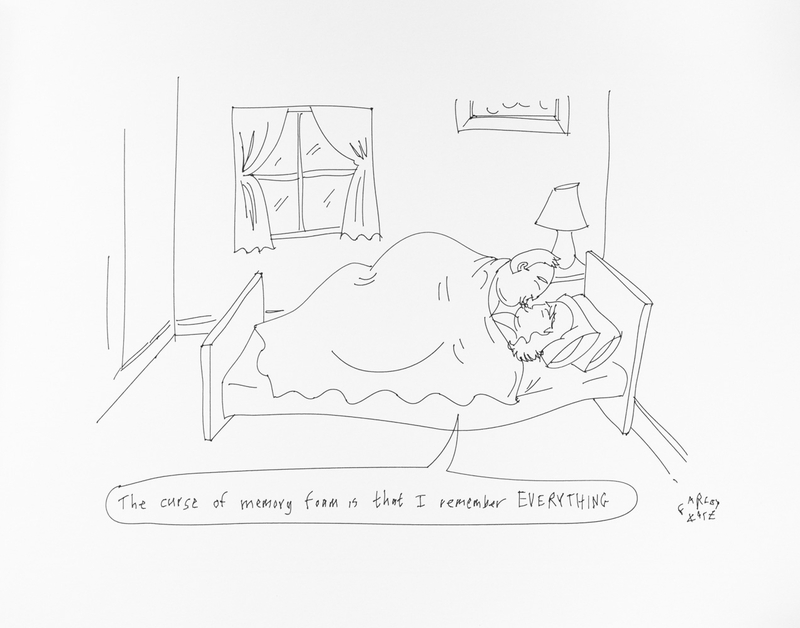 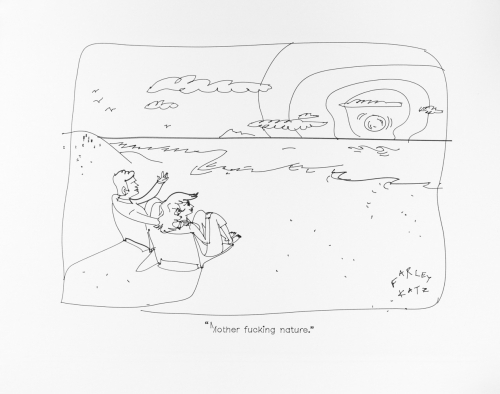 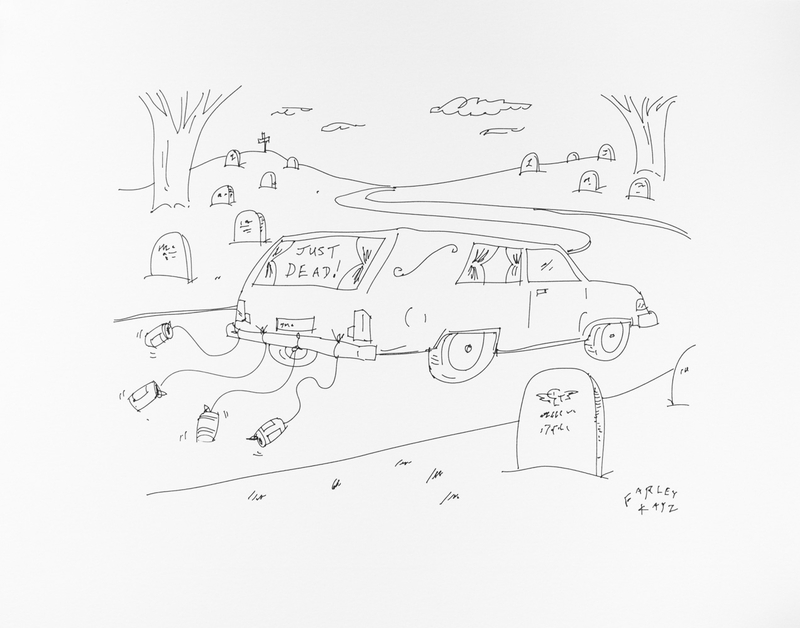 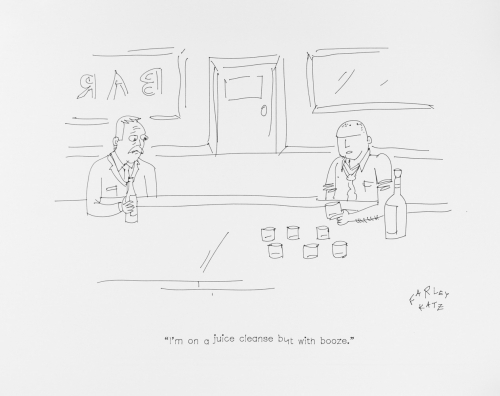 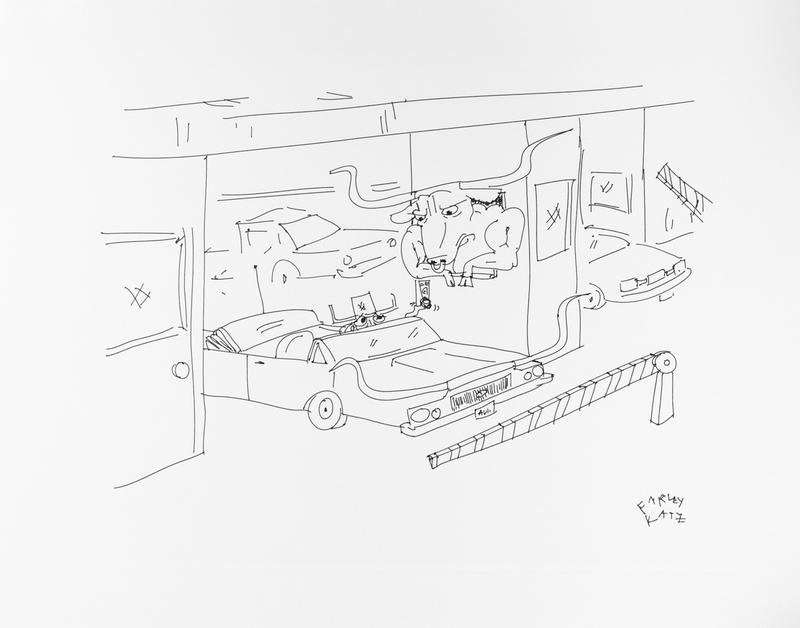 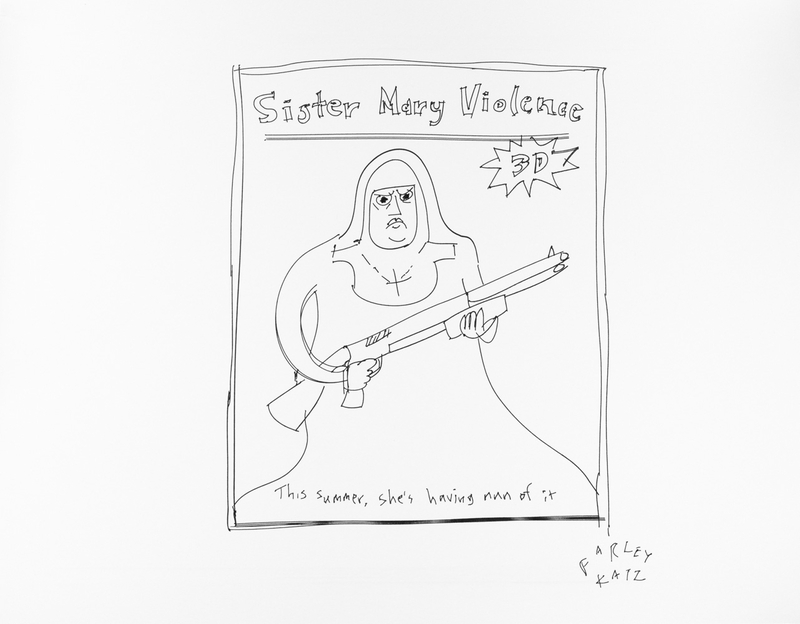 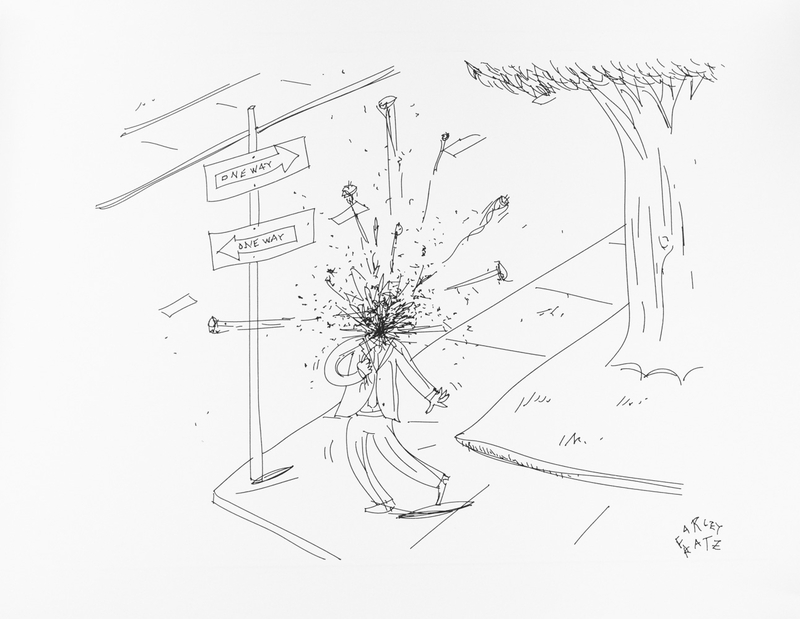 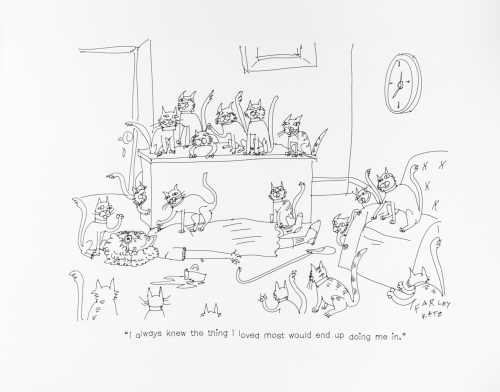 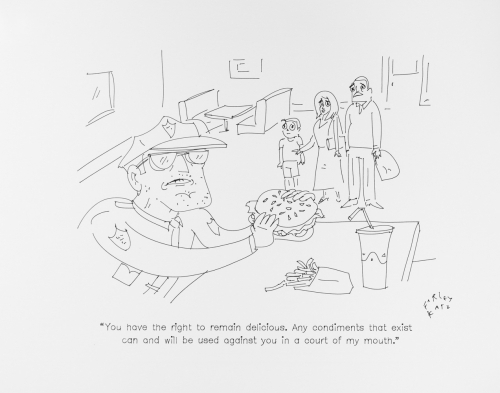 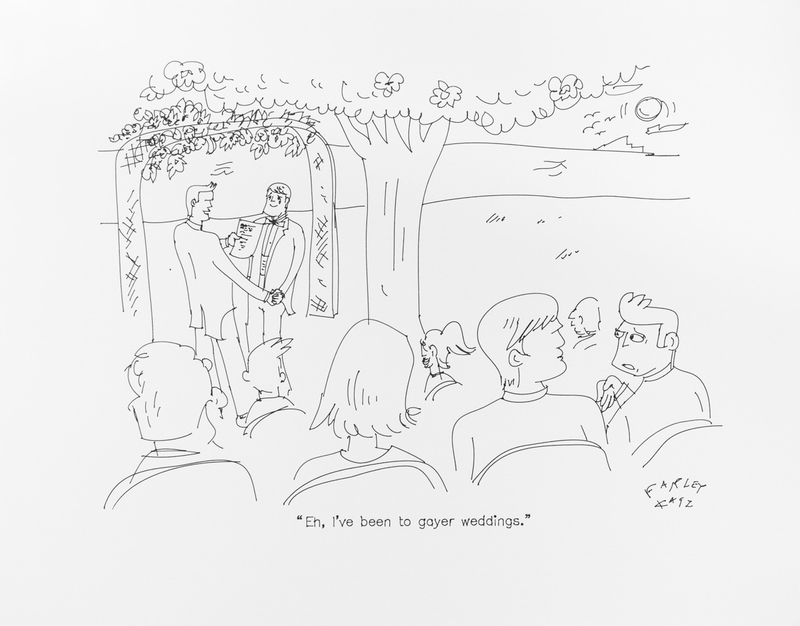 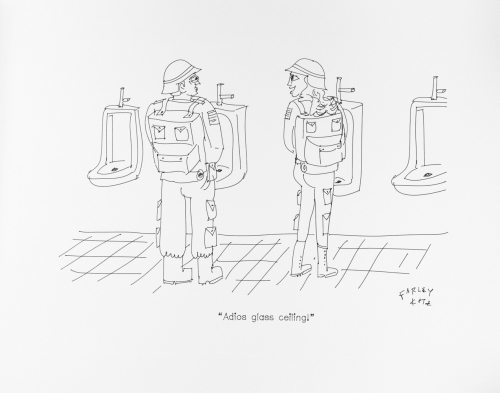 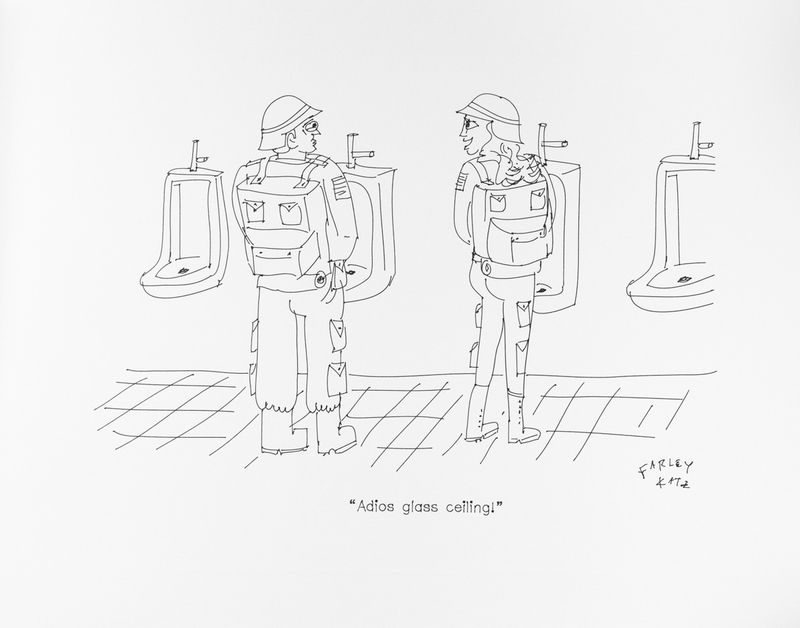 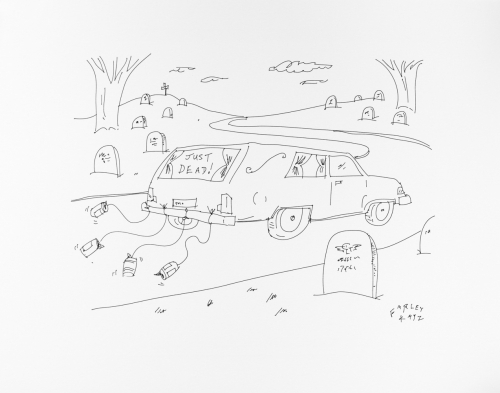 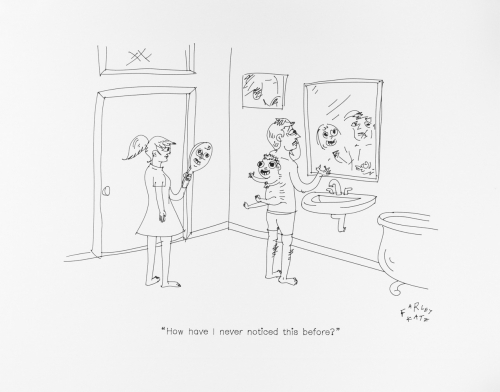 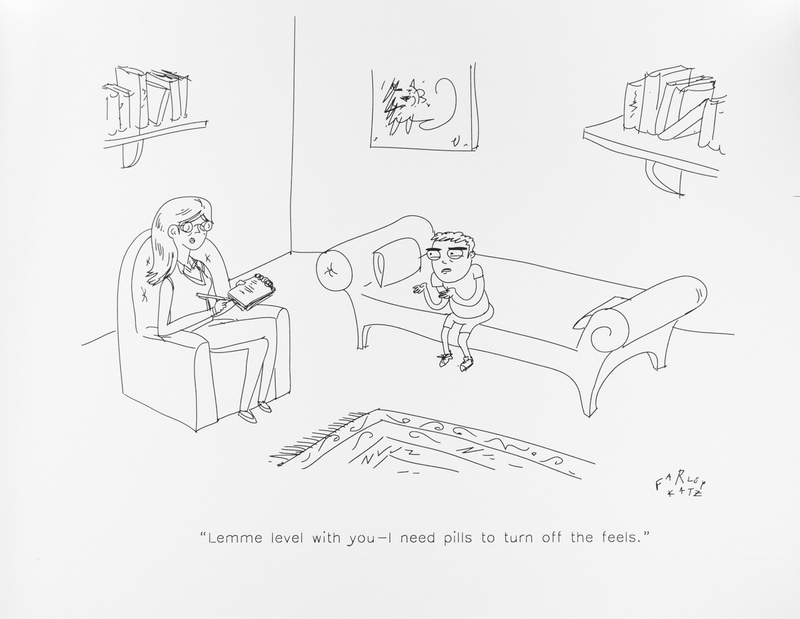 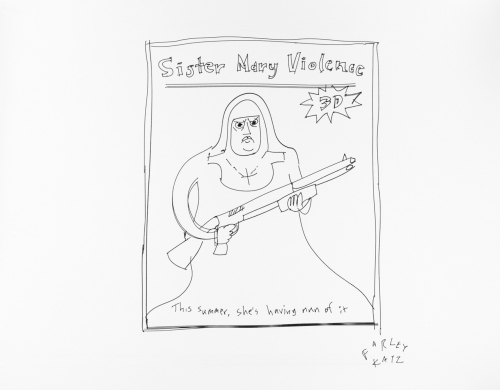 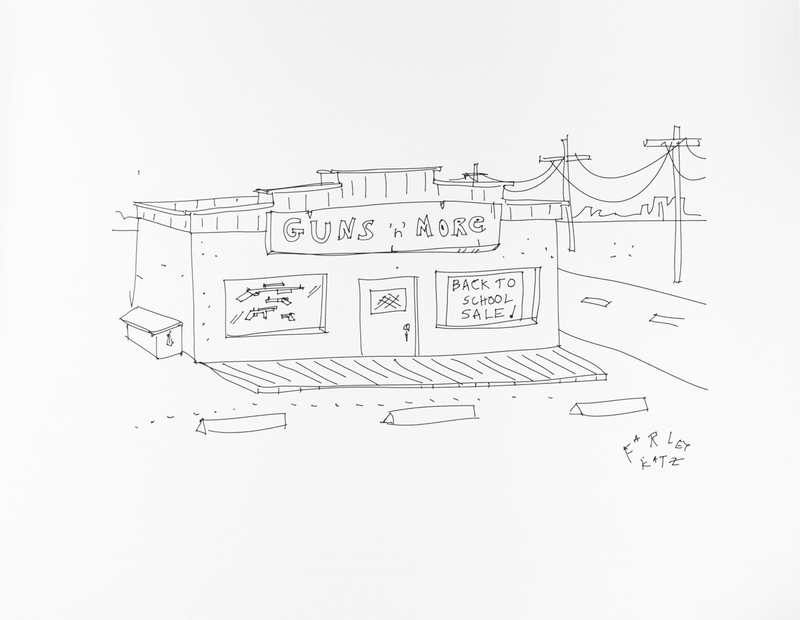 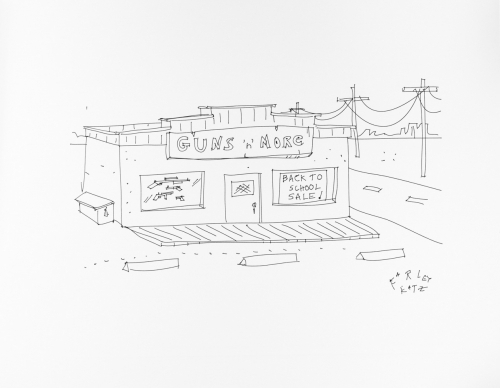 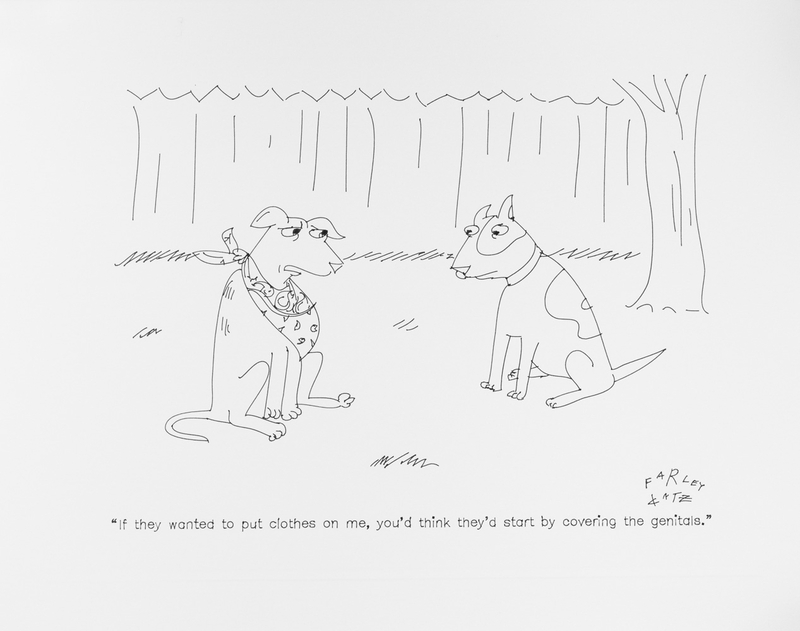 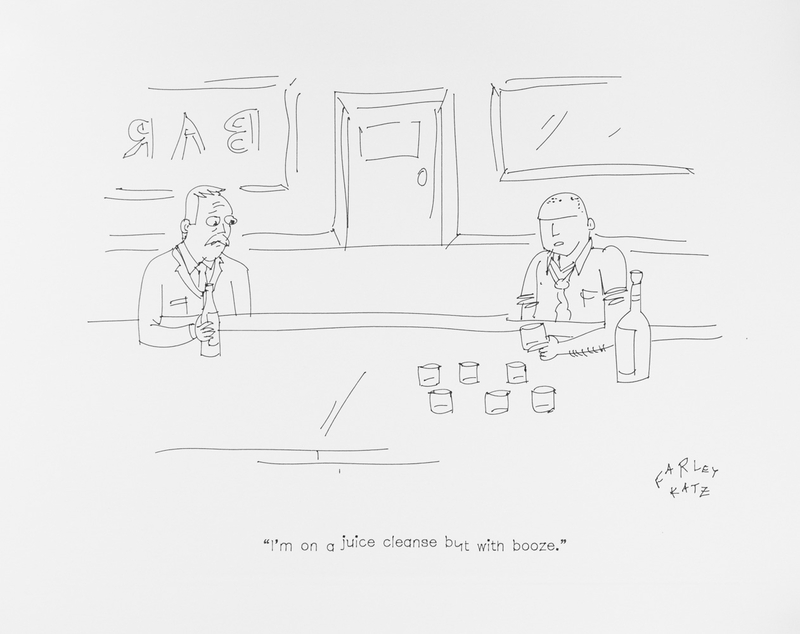 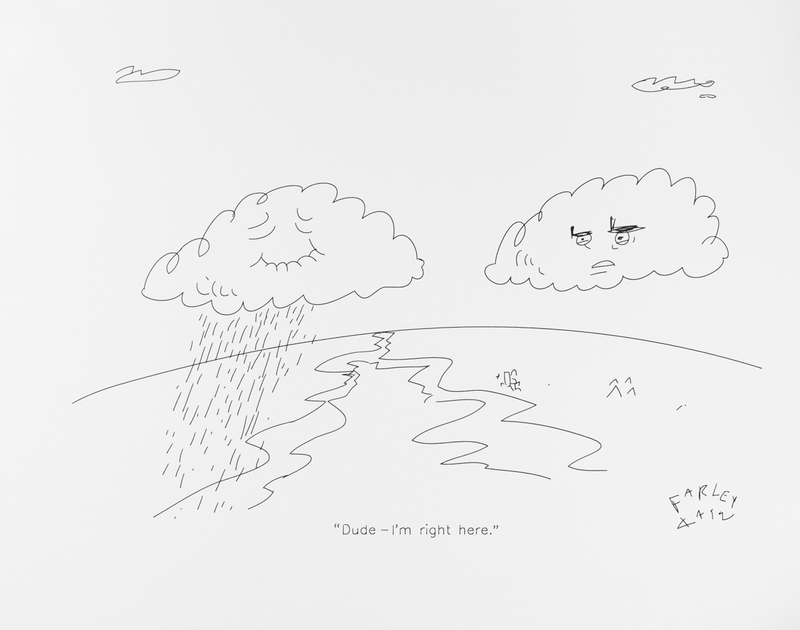 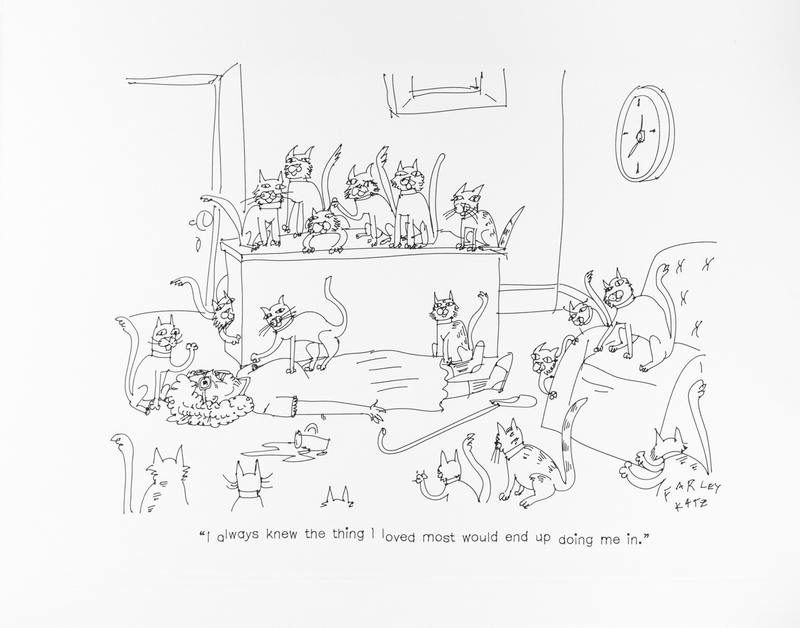 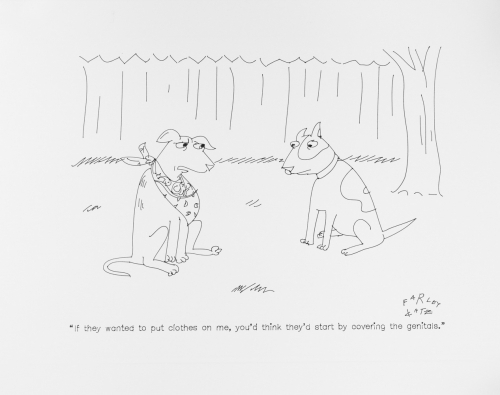 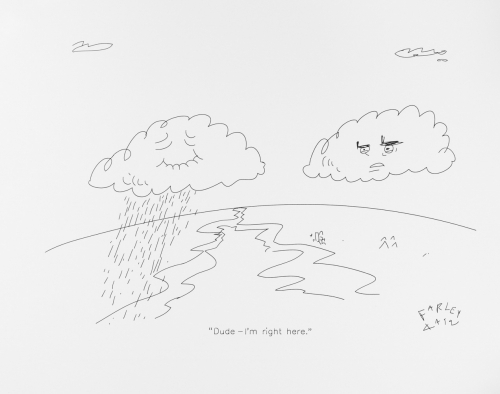 "To the outside world Farley Katz is a New Yorker cartoonist. 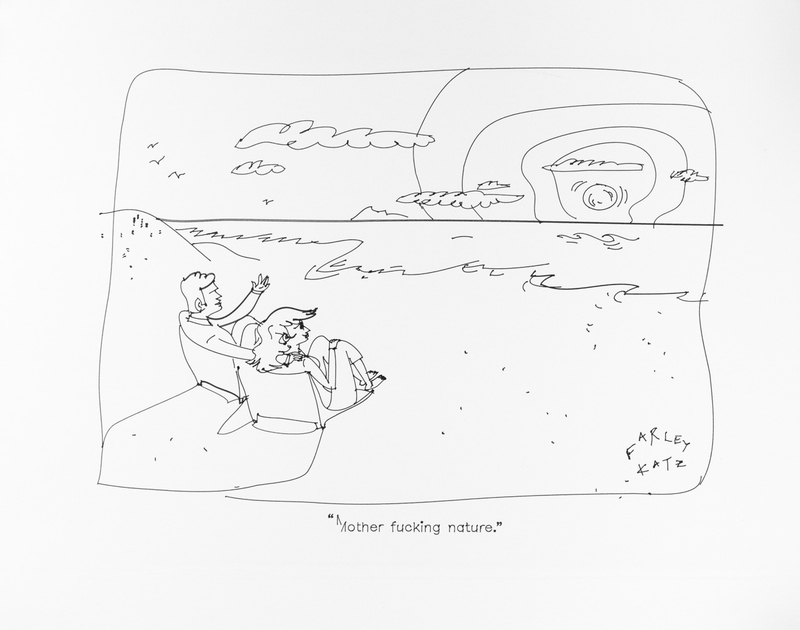 But behind the scenes he is a sick man, selling only a tiny percentage of his cartoons due to their offensive, tone deaf, often filthy nature. 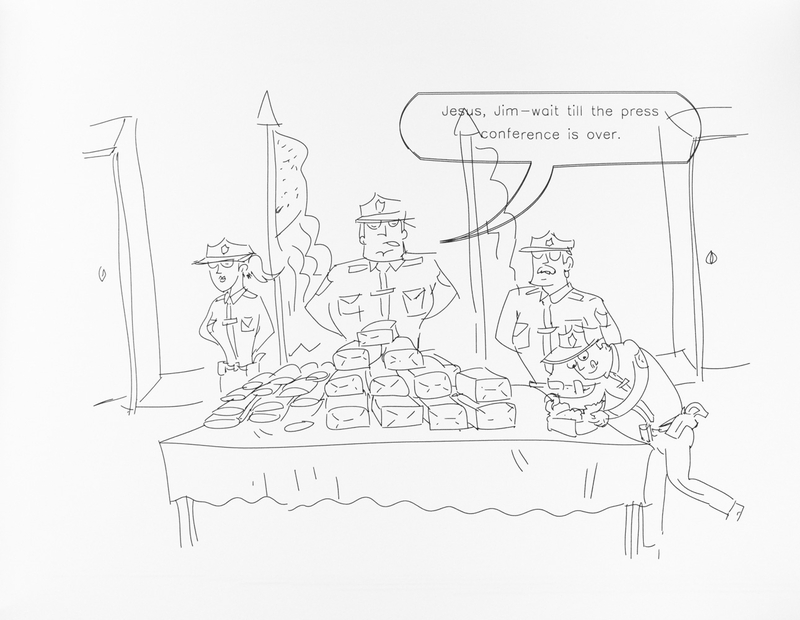 The numbers speak for themselves. 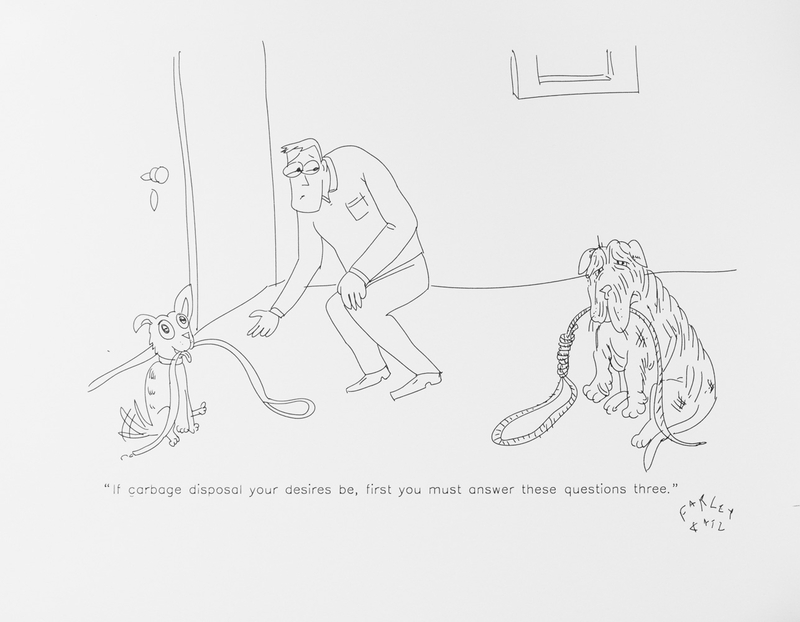 Ten years times ten cartoons a week divided by success quotient 0.05 equals a lifetime of rejection. 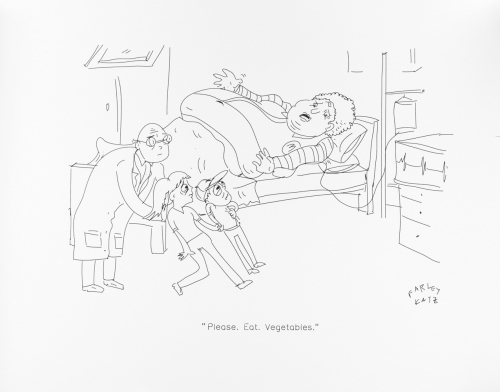 Farley has been drawing twisted, unsellable cartoons for so long he decided to mechanize the operation. 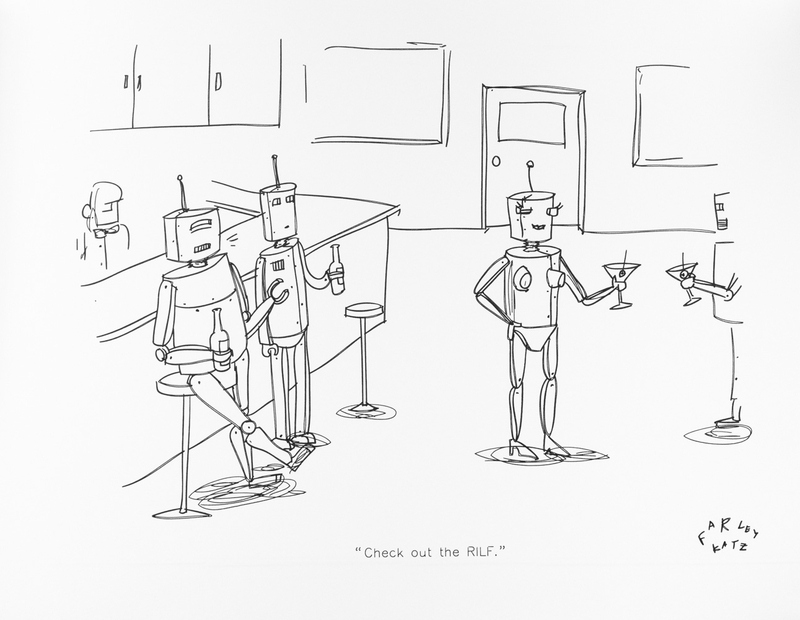 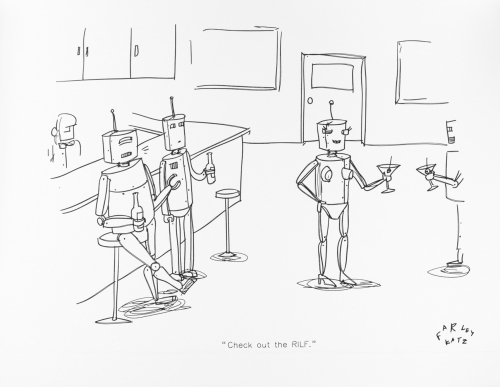 Now the Rejectotron 7.7x draws the offensive jokes that will never see the light of publication for him. 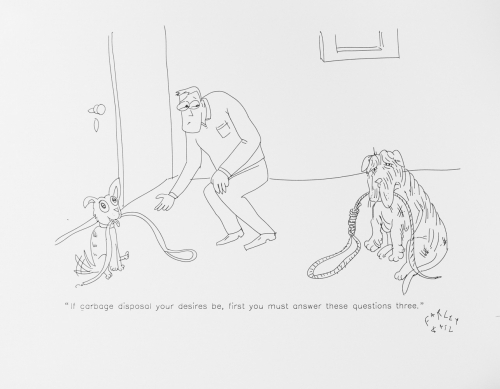 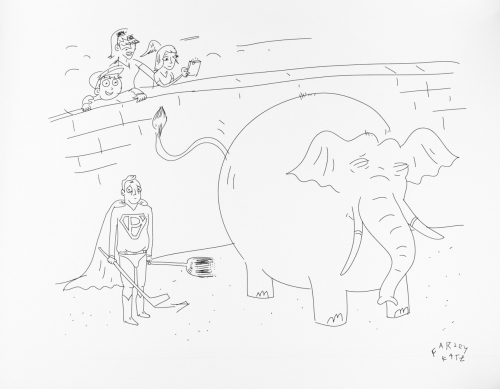 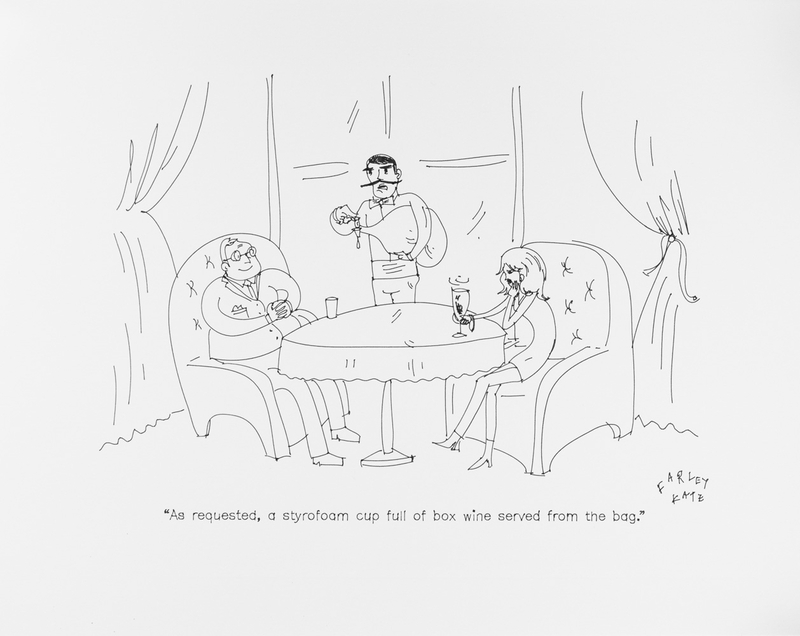 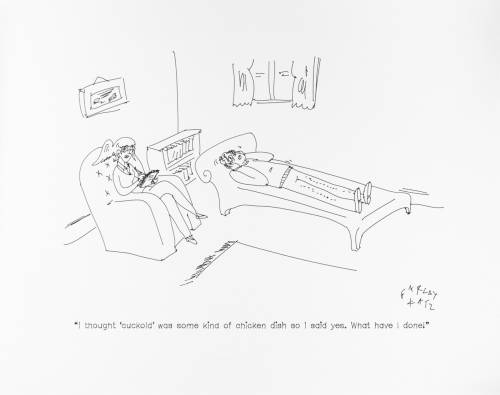 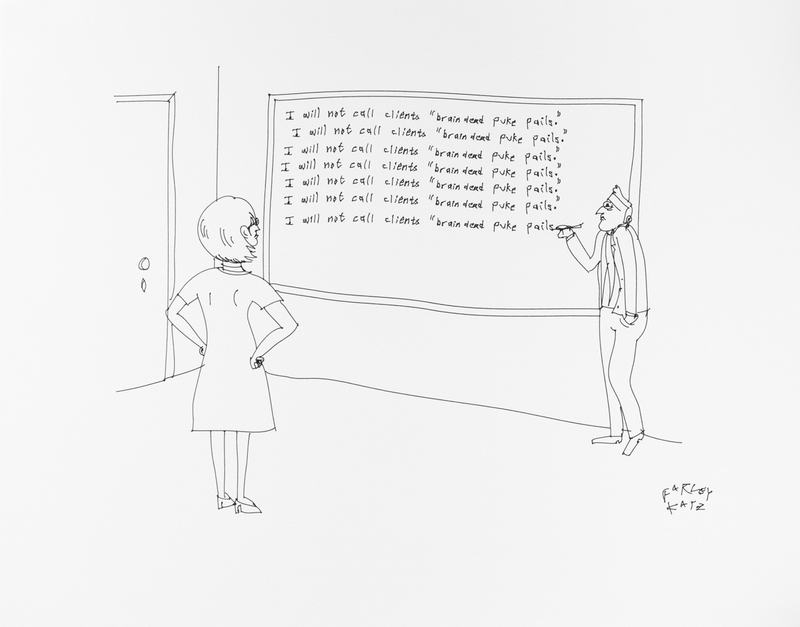 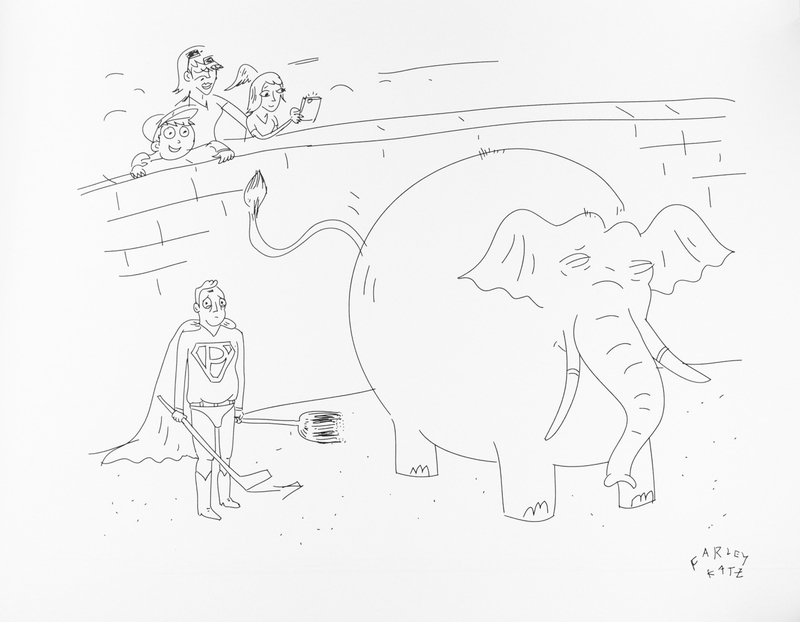 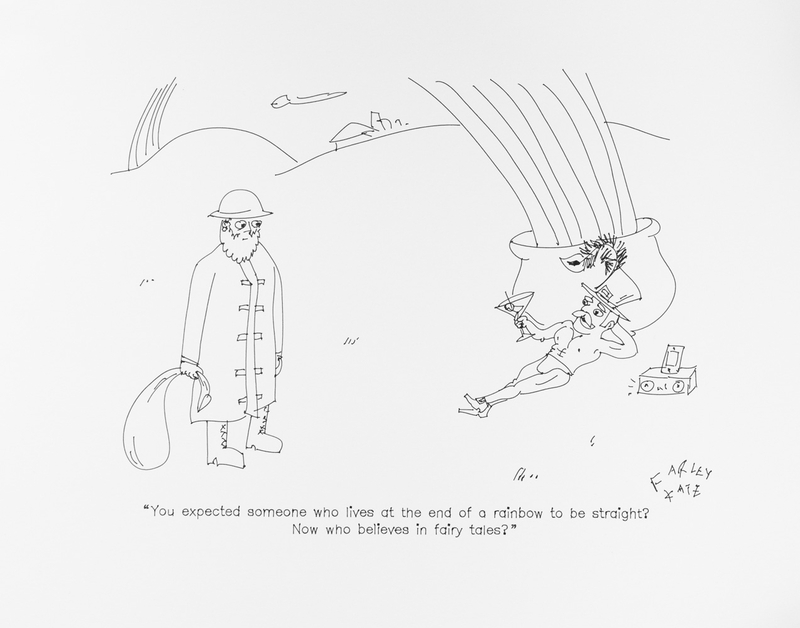 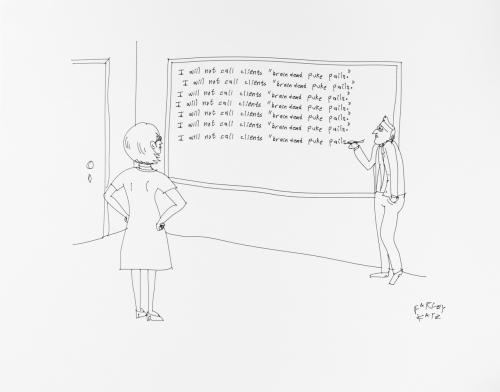 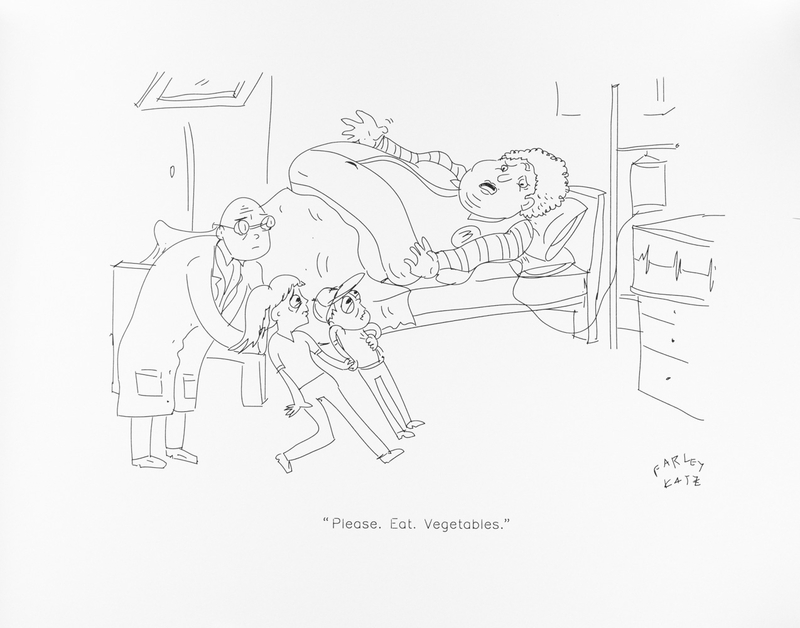 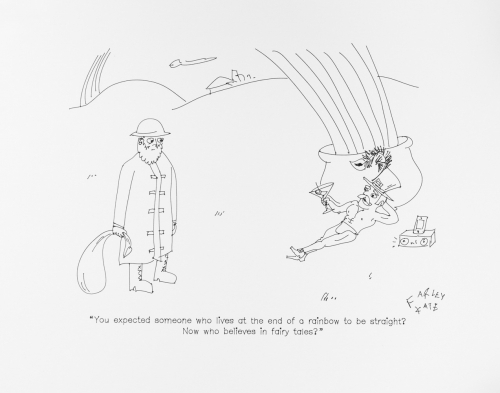 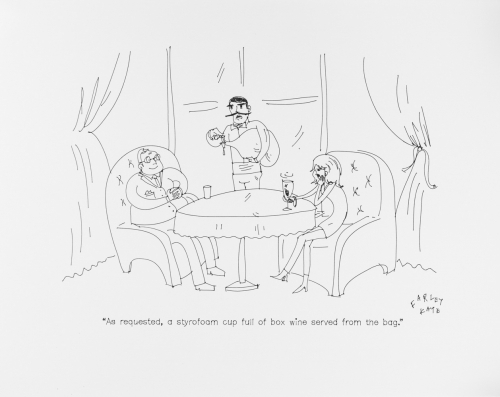 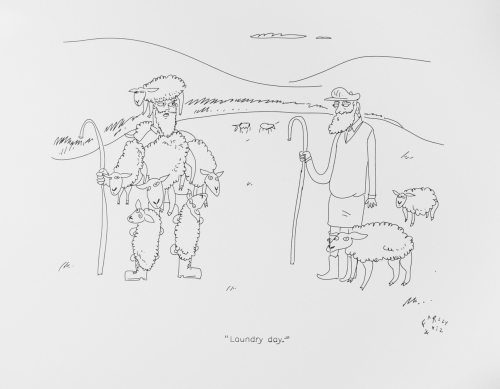 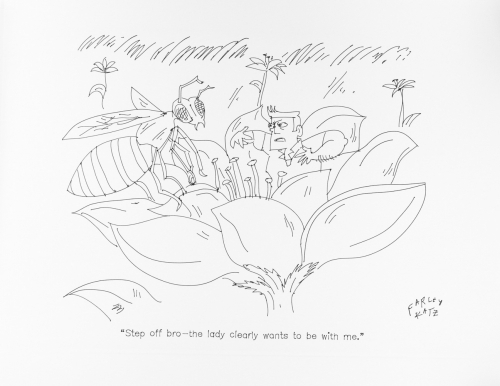 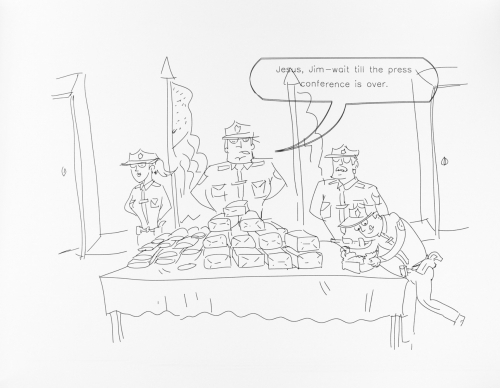 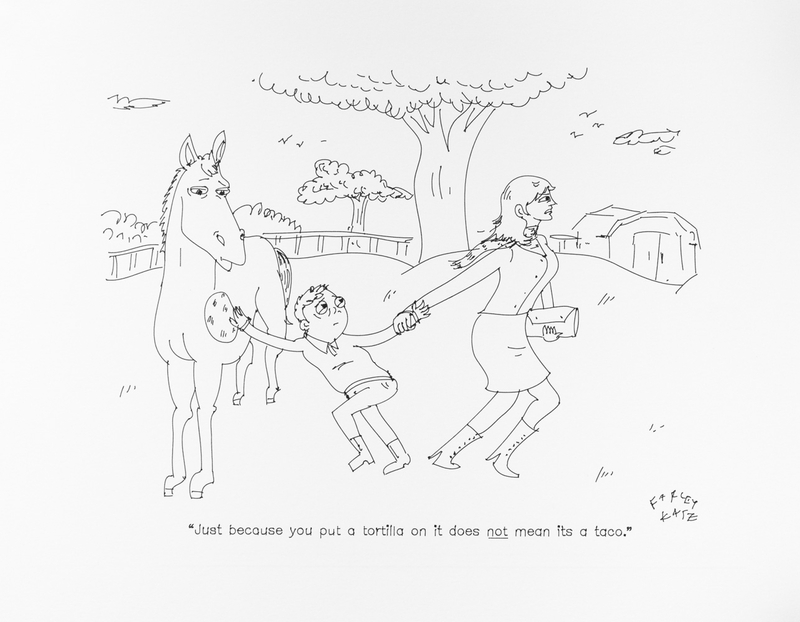 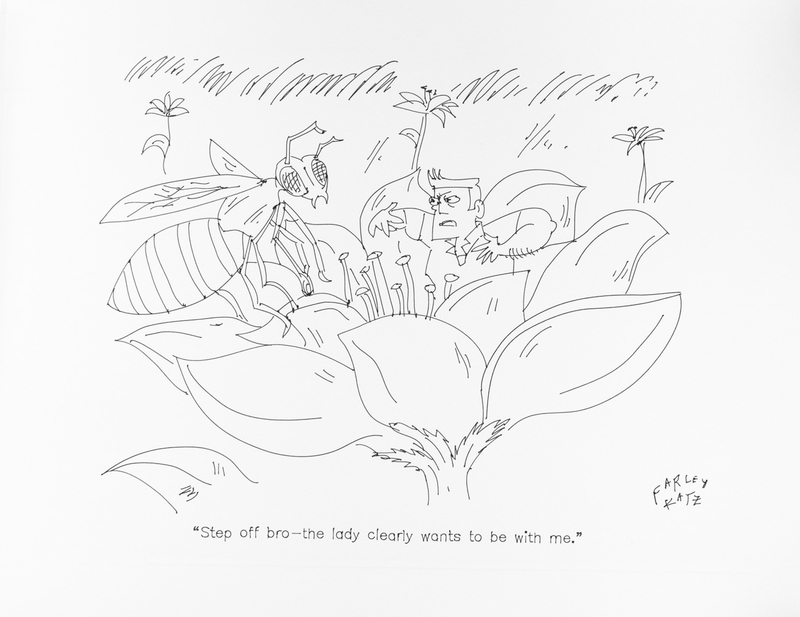 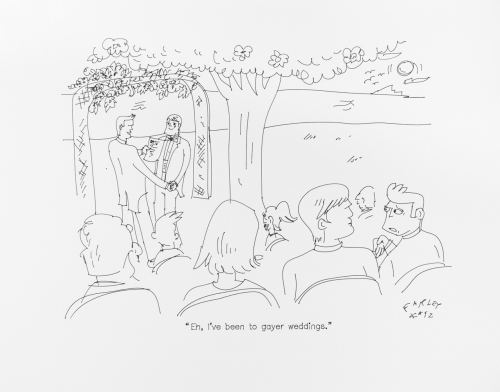 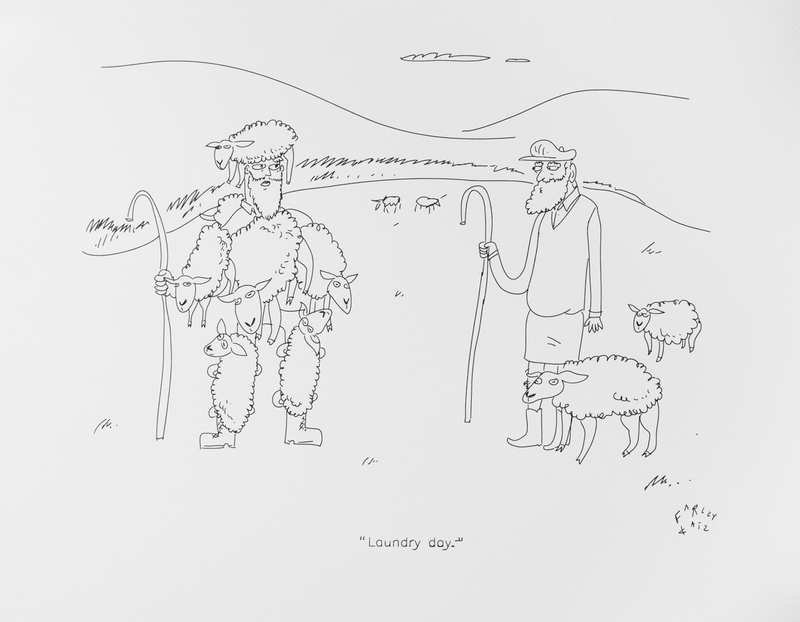 Come see the cartoons that were actually shown to New Yorker editors, causing more than one monocle to shatter." 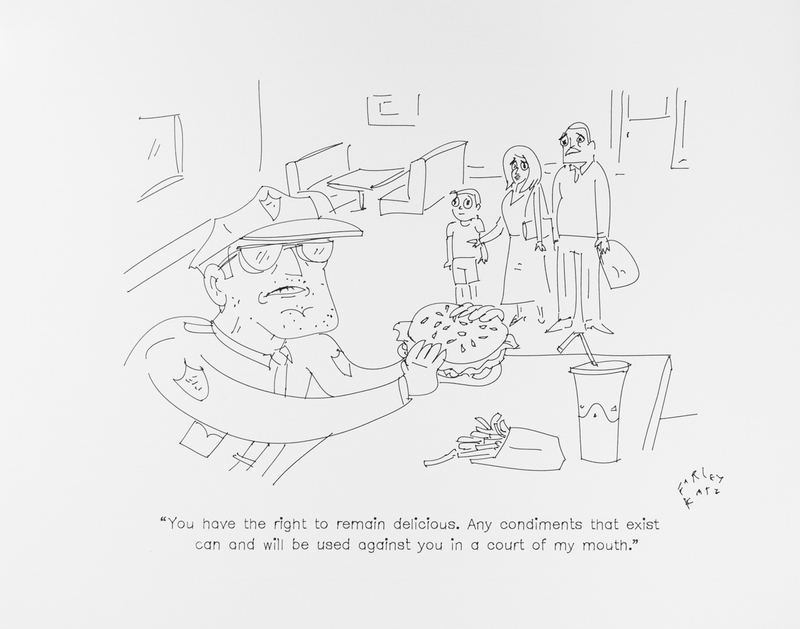 Katz's cartoons are conceived on the computer. 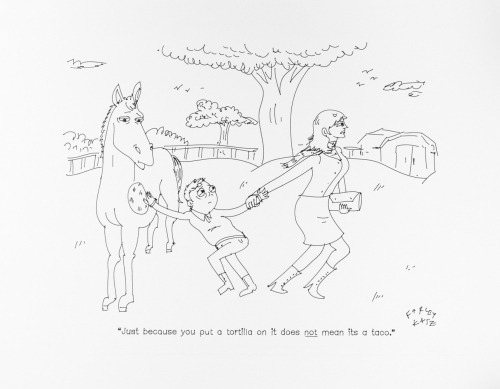 At Fastnet the files are physically drawn with the assistance of Sir Cuts A Lot, a second-rate vinyl cutter that has been relegated to the status of a pen plotter.